It’s not too early to begin making plans for graduation in May. If you completed your coursework in August or December 2010 or you will complete it this May, and you submitted an application for graduation to the Registrar, you are eligible to participate in 2011 Commencement ceremonies. There are two exercises. Each is celebratory in its own way, and we encourage you to take part in both! Our C&T department is included in the Teachers College Masters Degree Convocation 1 at 10:00 on Tuesday, May 17, in The Cathedral of St. John the Divine. With plenty of pomp and circumstance, this ceremony is serious and inspiring. Just being in the Cathedral is a special occasion, plus your faculty and notable speakers add to the celebration. Then on Wednesday, May 18, from 10:30-noon, Columbia University Commencement is held. This is a centuries-old tradition in which the President of the University gives the address and recognizes graduates from all eighteen schools. The ceremony is outside (rain or shine!) on Low Plaza, which becomes a sea of light blue. It is fun and festive with witty presentations, jumbotrons, and an acknowledgement of TC’s part in the greater University. and carefully read your TC emails for more information. Commencement is a wonderful way to celebrate your accomplishment! Invite your families and significant others, and please do plan to attend. 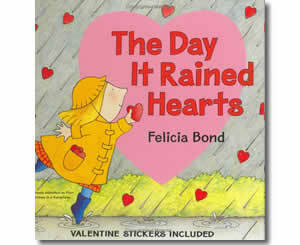 In honor of February 14th, I am reposting favorite Valentine’s Day books and adding some new ones. Feel free to reply with your favorites. 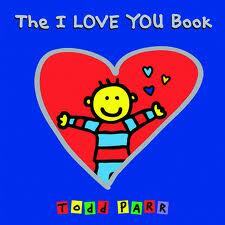 We can always count on Todd Parr for a smiley-faced message of tolerance and acceptance. This book lets children know they are loved unconditionally. There’s kid appeal with just the title, but also adorable illustrations and plenty to talk about: teasing, the challenge of being nice to everyone, and forgiveness. Ralph Fletcher–author of a score of books: poetry anthologies, memoir, children’s novels, picture books, professional books–will work with Audra Robb and Mary Ehrenworth to lead a calendar day which will give you ideas for how to use the poetry writing workshop as a time to teach young writers about the elasticity, combinational power, and mulit-dimensions of language. This day promises to be exciting and thought-provoking, and there are still a few seats available! Please contact Lindsay or Ellen if interested. Jump right in and take initiative. Plan to facilitate even more instruction this semester. We will begin reflection logs this week. Please send your first log to your supervisor by Friday late afternoon. New time sheets were distributed. Please stop by if you need one. Have a great week, and stay safe and warm!